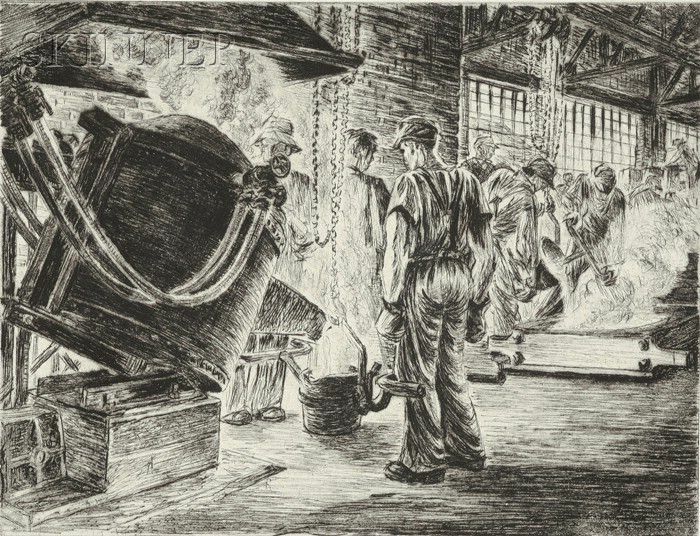 Lot of Four Images of Factory Workers: Smelting; Unloading the Cars; Masonry; and Working the Pulleys. All unsigned. 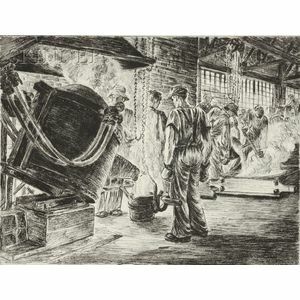 Etchings on paper, plate sizes to 8 3/8 x 7 5/8 in. (21.2 x 19.3 cm), unmatted, unframed. Condition: Most edges deckled, unobtrusive soiling, unobtrusive handling marks and/or creases, losses to margins on Unloading.